Kalman Filtering Consultant Associates - Dr. Mohinder S. Grewal, Ph.D., P.E. Dr. Mohinder S. Grewal, Ph.D., P.E. "The Guy Who Wrote the Books"
Mohinder S. Grewal, PhD, PE, has over 40 years experience in systems identification, guidance, navigation, and control. Dr. Grewal is well known for his innovative application of Kalman filtering techniques to real world modeling problems. In 2009, he received the Distinguished Engineering Educator Award, Orange County Engineering Council and the Outstanding Professor Award 2009-2010 from California State University Fullerton. GPS World magazine selected him as one of “50+ Leaders to Watch” in its May 2007 issue. Grewal co-authored Kalman Filtering Theory & Practice Using MATLAB, 4th Edition, Wiley & Sons, 2015. Navtech has described the book as having "excellent treatment of practical considerations involved in implementing a Kalman filter, especially with respect to numerical stability problems." The book has been widely cited by other authors and researchers. 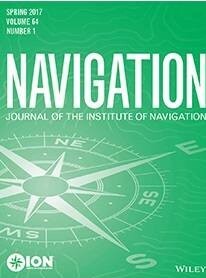 Grewal has published over 85 papers in IEEE and ION refereed journals and proceedings, including the Institute of Navigation 's (ION) NAVIGATION: Journal of the Institute of Navigation SPRING 2019 Volume 66, Number 1, and the ION "Redbook," (Volume VI). He has written numerous technical reports and holds two patents in GUS clock steering and L1/L5 differential bias estimation. Dr. Grewal serves as a reviewer for IEEE, IEE, and other national and international publishers. Dr. Grewal's associations include Raytheon Systems, Boeing Company, Lockheed-Martin, University of California, Riverside , staff of the U. S. Department of the Interior, Boeing and Northrop. He is Professor of Electrical Engineering at California State University, Fullerton, Senior Member of IEEE, Fellow of the Institute for the Advancement of Engineering, and member of the Institute of Navigation. We are the sole owners of the information collected on this site. We only have access to/collect information that you voluntarily give us via email, your registration, or other direct contact from you. We will not sell or rent this information to anyone. We take precautions to protect your information. We ask that you do NOT submit sensitive information (such as credit card data) on this website. We ask that you submit sensitive information by fax. We do not collect sensitive information on line. We protect your information offline. Only employees who need the information to perform a specific job (for example, billing or customer service) are granted access to personally identifiable information. The computers/servers in which we store personally identifiable information are kept in a secure environment. We sponsor short courses in the area of Kalman filtering and its application to GNSS, INS, and navigation. We offer this five day training in January and June, in Fullerton, California, USA, currently at the Holiday Inn & Suites, Fullerton. This training or a version thereof has been offered "on-site" to Boeing OKC, Esterline CMC Electronics, Edwards AFB, University of Calgary, NASA Dryden, China Lake NAWCWD Raytheon Systems, and as a tutorial at ION and IEEE conferences and at IEEE PLANS. Since 1997, scientists, engineers, and managers from an﻿ ﻿﻿international listing ﻿﻿﻿have attended the twice annual offerings of "Application of Kalman Filtering to GPS, INS, & Navigation," and its predecessor "The Real World & Kalman Filtering." Copyright by Kalman Filtering Consultant Associates 2018-19.